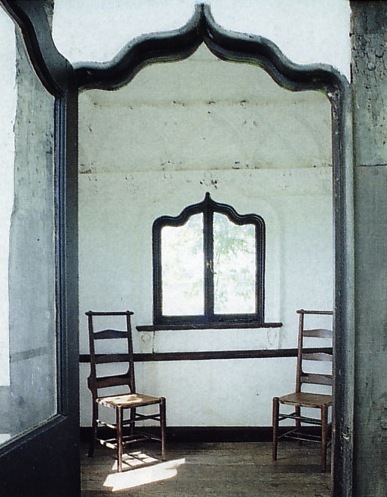 The World of Interiors is probably my favorite publication. It takes you everywhere there is wonder to be found –– from a student’s studio furnished with street finds to a Rococco palace furnished with museum pieces –– DaVinci drawings to dented coffee pots. 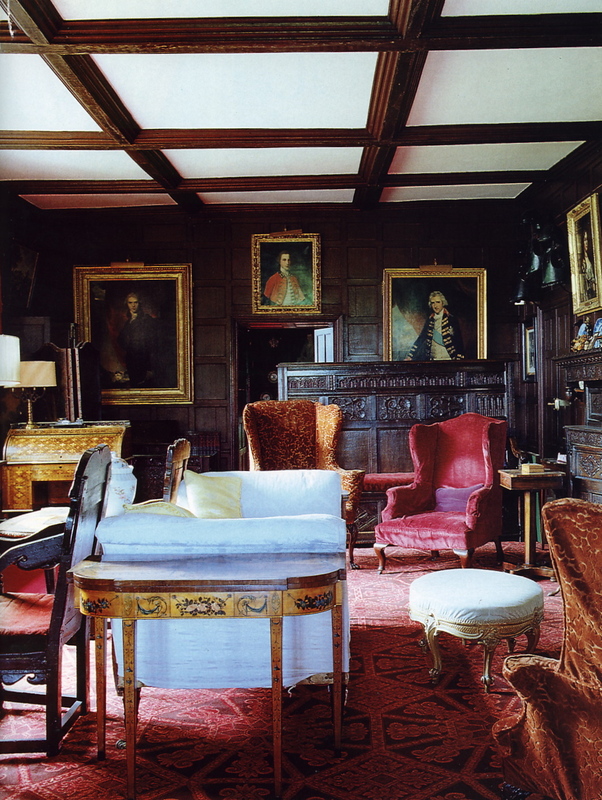 The magazine holds true to one of my personal precepts, “to the artist, all materials have equal value” –– it doesn’t have to cost a fortune to be glorious or to be included on the pages of World of Interiors. 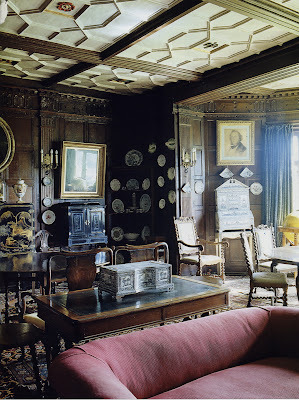 20 years ago in World of Interiors I found a fairytale vision on-the-hoof –– a half-timbered wonder in an article on Pitchford Hall and its matching tree house set in the rolling hills and dales of Shropshire England (and beautifully photographed by Henry Bourne). Yes, you read that right –– tree house –– but not any tree house, an honest to god, 17th century tree house cradled in a 900 year old Lime (Linden) tree. 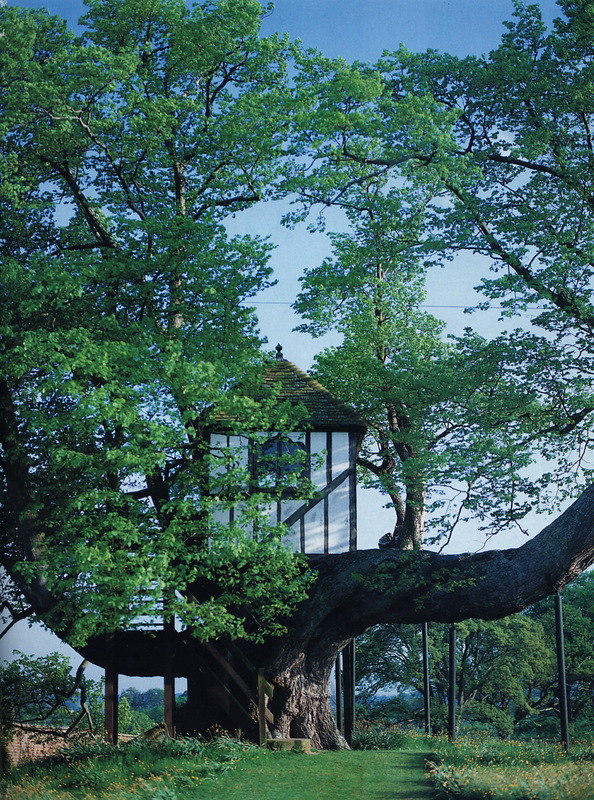 It’s the oldest tree house in the world. Once seen, it’s never been far from my daydreaming mind. You know, before we fantasize about dream houses, a dream playhouse is on many a youngster’s wish list, like some kids have dream cars on theirs (the Hamptons is full of now-wealthy middle-aged men driving around in the muscle cars they coveted in their penurious youth). I guess when I saw this house I saw the playhouse of my youthful “get-me-out-of-the-midwest” dreams made manifest (the Barbie playhouse was not my style). 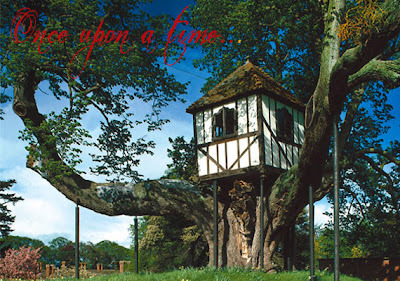 I mean, for me, it hit the trifecta –– adorable, teetering in an ancient tree and in the style of Shakespeare’s England (the manor house would suit the adult me just fine as well). The house itself is pretty spectacular both inside and out as these photos attest. Queen Victoria described it as, “ a very comfortable yet curious looking house, striped black and white in the shape of a cottage.” This is only a cottage to someone who lives at Windsor Castle and needs a map to find their bedroom . Pitchford Hall was built by wool merchant Adam Ottley in 1540 (although there had been a house there from at least the time of the Domesday Book ––1081-86). 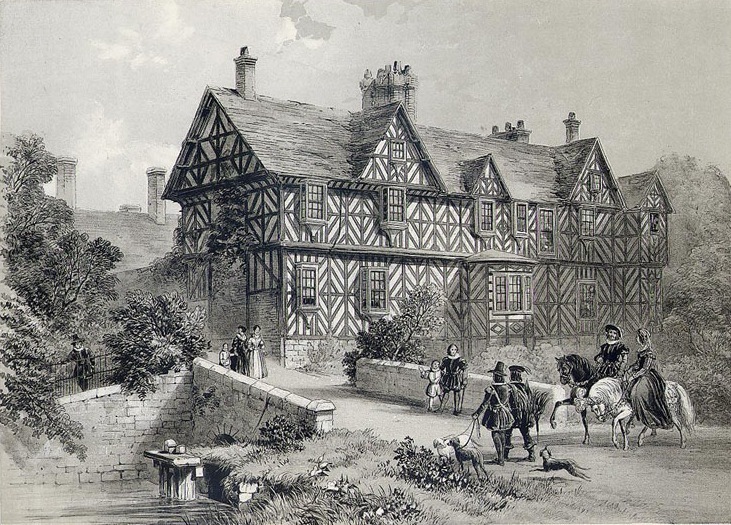 The superb carpenter that built it was named John Sanford “whose exuberant style is the hallmark of Shrewsbury’s best Elizabethan buildings…”, said the piece in WOI. The house was owned by Ottleys till they died out at the end of the 19th century. Relatives kept it in the family till 1992, when it had to be sold after devastating losses from the infamous Lloyds “Names scandal” (a cute fraud operation with painted-over losses much like our USA banking scandal in the ‘aughts’ save for the fact it was centralized in one place, Lloyds of London –– many old families lost everything). 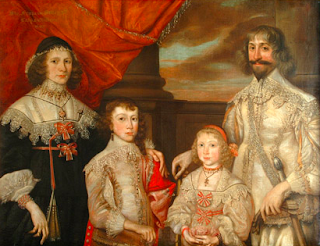 The early Ottleys were Royalist with Catholic sympathies —the now-ancient stand of Scot’s pines near the entrance was a sign that Catholics would find shelter there –– in Pitchford’s case, in a well-hidden priest’s hole. A bedroom cupboard hid a trap door that led a stairway to the priest hole where the swashbuckling Prince Rupert of the Rhine spent the night in 1644 (son of Elizabeth, the Winter Queen, who I wrote about HERE). 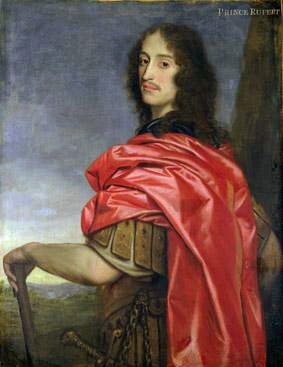 The Pitchford website said there is also a 200 yard subterranean tunnel –– a watery access for guests avoiding the law that was built in the 16th and 17th centuries terminating in settling room with stone seats that could hold quite a few souls evading capture (Rupert's men hid there during his stay). All of this makes for magical child’s play. Can you imagine the fun you could have there? Since the tree house was built in the late 17th century, many famous people have stepped up for a visit, no less than young Queen Victoria played there, remarking dispassionately in her diary “I went up a staircase to a little house in a tree”, as well as two Prime Ministers, Lord Liverpool and Lord Rosebery. Pitchford Hall is known for having a whole retinue of ghosts from servants to ladies and lords (including a recent arrival who smokes a cigar that one can smell). So many ghosts haunt the place that a lady of the house in the 1920’s moved into the tree house to get away from them (I would probably invite them to join me). She even had the butler bring her meals to her there! You can stay on the estate if you would like and get a close-up view of the treehouse by clicking HERE although the hall is no longer open to the public. I could just imagine tea parties and picnics with iced tea made from lime flowers plucked from the tree that embraces the house. Yes, a picnic is just what I see. With a house that has a history as long as this, I don’t think I’m cheating by having a favorite picnic snack in my tree house. It doesn't have to be an Elizabethan treat, now does it? How do deviled chicken legs and potato salad sound? It's not as if my picnic ingredients come from a molecular gastronomy lab. The recipe for the deviled legs is as old as the hills. I know I have been making it for decades as did my gram before me. Deviled things were terribly popular by the 19th century as the spices of India gently infiltrated English cuisine (the word 'devilled' used in connection with food was first seen in 1786 but had been around much longer). Chicken legs are slathered with a sweet spicy sauce and broiled till brown and bubbly (you can use any other cooked chicken parts or boneless chicken breast strips you may have on hand for this technique). Then they are rolled in toasted bread crumbs –– or not –– they are killer good both ways. I always wish I'd made more when I make them. Beware, they are addictive. I never thought I would say this but after years of using olive oil, browning the crumbs in good lard makes them even better (thanks Ken for the inspiration). The potato salad is a hybrid of an old Martha Stewart recipe that I’ve been making for years. It changes with what I have around when I make it but always has mayo and buttermilk and pickles. You can change the buttermilk/mayo ratio to make it leaner if you would like. My suggestion? Go to a favorite place, put your imagination hat on and enjoy your picnic. Blend all ingredients. Slash the legs if you would like and slather on the mixture (I didn't this time). Broil on high for 5-10 minutes. All broilers are different so keep an eye on them lest they burn. Sauté the crumbs in the fat till browned. Roll the chicken legs in the crumbs and serve. Boil the potatoes in salted water till tender but firm. Drain and cool. Stir together the wet ingredients. Add the rest to combine then gently toss in the potatoes and blend so as not to break them. We totally endorse all that you say here about 'World of Interiors' which remains an all time periodical of ours and is the only one which we take in on a regular basis. As you rightly say, it is completely comprehensive in what it shows, the principal criteria seemingly that whatever it is must have some artistic and intrinsic value. In this way it brings to the attention of its readers much which would otherwise pass unnoticed. 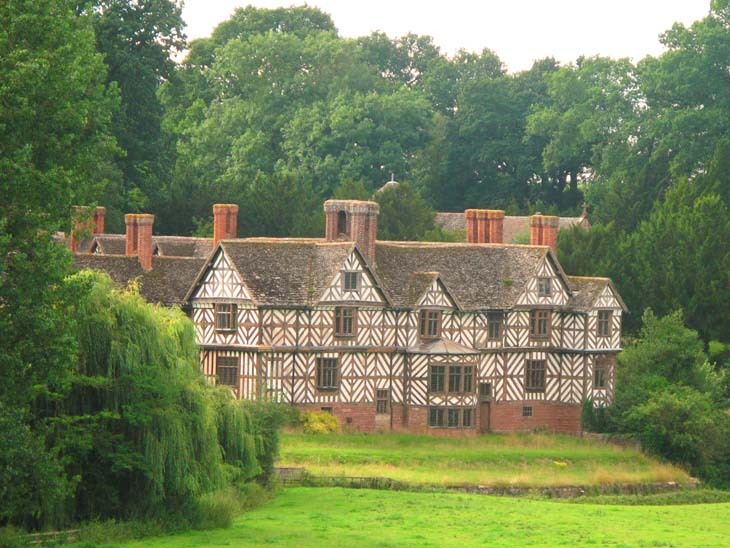 As you will of course know, Pitchford is but one of so many great and interesting houses of a similar period to be found in Britain, but not all can boast such a tree house. I have never heard of that periodical.. I am learning something new again.. I have always been captivated by children's play houses on large estates that were the size of a gingerbread house or a small cottage. But I've never seen one perched in a tree! Magnificent! Would love to sample some of those deviled legs on a lazy summer afternoon in the tree house! This is a great post with masses of info that I did not know. What a beautiful tree house. World of Interiors is my favorite magazine of all time. I have saved every single copy and after this last move realized they are a labor of love -SO HEAVY. It took me 5 days to put them onto my bookshelves because I kept flipping through the articles! I remember this house in particular though because of that treehouse. I LOVE potato salad (potatoes and mayonnaise are my 2 favorite things) but I think I'll have to try this without the pickles. I love pickles but no where near my potato salad! We have a tree house, of sorts, but not like that. Deviled legs sounds great to me! Guess we all had treehouses or dollhouses. I loved my doll house and so did my daughter. I used to make a little "house" under a willow tree when I was a child. I pent hours there, cooking with dirt, stones and empty spice cans. My boys had forts...sort of masculine tree houses. :) I could spend hours on Pinterest looking at treehouses; I am in awe at what I find there. People are so clever. It was fun to read about this one...never had read anything about it. I love that salad! I never put nutmeg in mine though. And deviled chicken? Haven't had that in ages. Yummy picnic food, Deana! 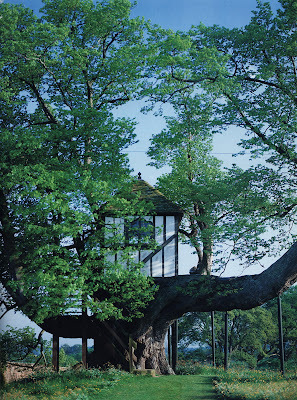 What a beautiful combination of so many beloved things, World of Interiors, Tree Houses, handsome princes, and picnics. Now I want a glass of iced tea and a piece of pie. A lovely picnic dish. Very British. What amazing, huge arms on that tree house tree and what an unusual home with the black and white exterior. So interesting to read, as usual. Now that looks like a delicious picnic. I've never heard of chicken legs done that way but they sound so delicious. The treehouse is fabulous and a great way to frame the post! Both dishes seem wonderful as well! The linden flowers from the great tree probably figured in a lot of wonderful dishes over the years as well.